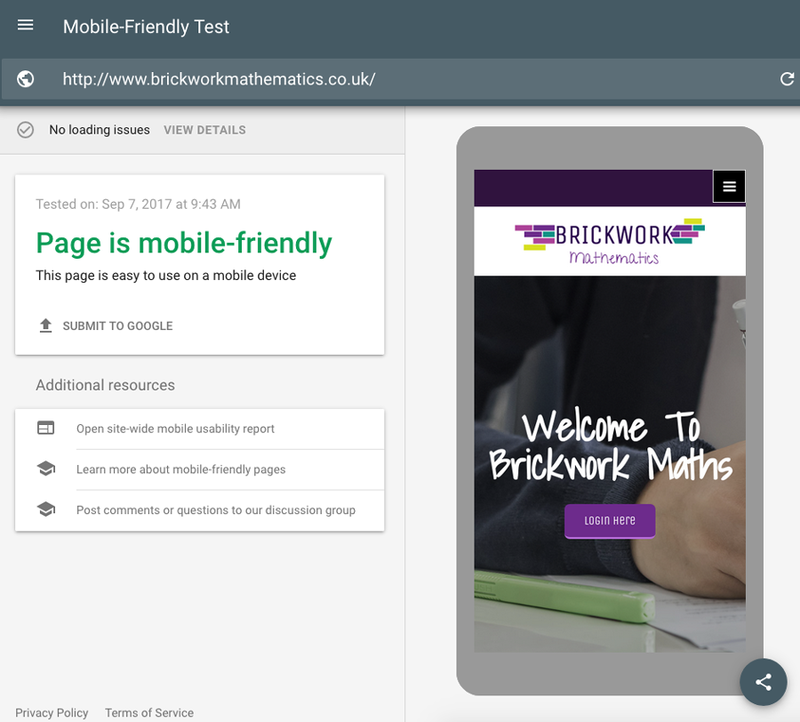 This week's website of the week goes to Brickwork Maths. 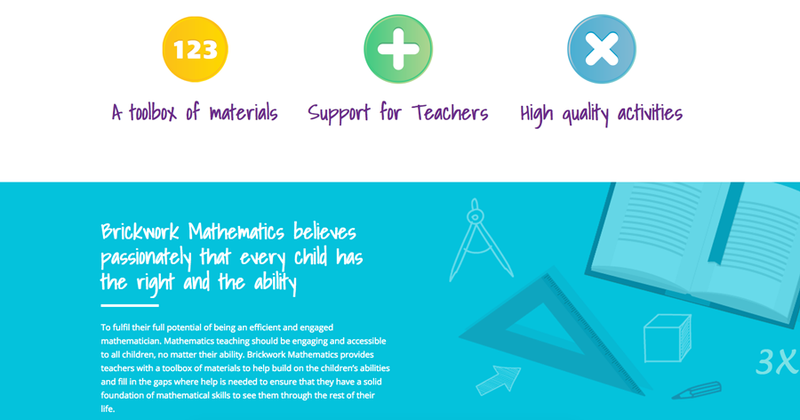 Brickwork Mathematics provides support for Primary teachers in helping assess gaps prior and post learning. The website features a vibrant colour scheme, taken from the logo we designed for the client and using the brick theme throughout in graphic form. The website has a child friendly scheme but is also a professional looking layout for adults. The website features a slide show header on the home page, static header images per page, custom graphics for the private login area, custom backgrounds in different colours for the different colour coded sections and more. The website features a mixture of stock imagery and custom graphics to give a balance between the two. Each image has been selected to reflect the topic of the page. The website passes Google's Mobile Friendly test meaning that the website looks good on desktop, tablet and mobile. If your website is not yet mobile friendly, simply get in touch today to discuss your options. Did you know... we can provide websites with large page numbers like this one. Simply get in touch to discuss your requirements.